In the good old days booking a room at a hotel with, gasp, no TV, was considered going off the grid. Some hotels still quaintly boast about not having televisions in the rooms, I’m sure they know Netflix exists, but it’s hard to let go of the past. Lately I’ve been craving time away from, well, my laptop, my Instagram, my Facebook, my text messages, the incessant beeping and buzzing that distracts my already scattered mind. 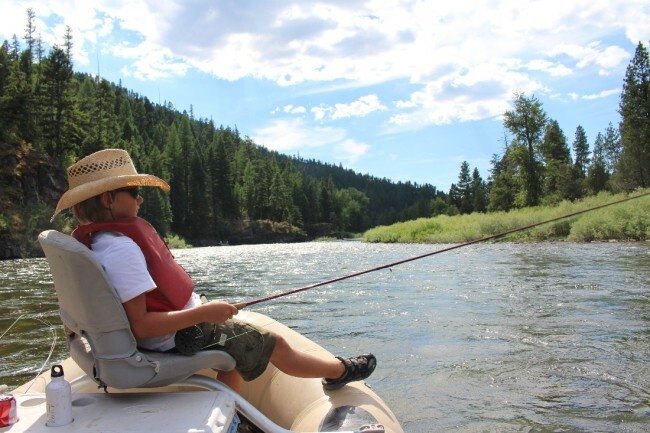 When I googled “technology free vacations” and “digital detox”, I found far fewer options than I expected. The world wants to be connected. On a recent cruise, Anthem of the Seas, I was looking forward to unplugging with my son, wi-fi on cruise ships is usually weak and very expensive. To my dismay this new ship boasts the most robust internet connection on the seas, he played “Clash of Clans” for hours and I Instagrammed. Yes, I know we could have just turned our devices off, but if it was that easy, there wouldn’t be the new medical term “internet addiction”. Americans spend an average of five and a half hours a day with digital media, more than half of that time on mobile devices, according to the research firm eMarketer. 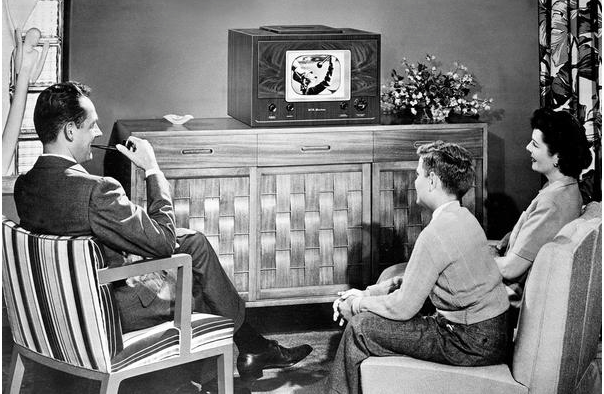 Remember when we used to think watching TV for a few hours was “bad for you”? According to a UK study, we check our phones 221 times a day—an average of every 4.3 minutes. I can safely say there are days I make these people look like luddites. When you’re phone dings-it puts you in a constant state of high alert, we are constantly keyed up and never unplugged. According to scientists and researchers, this never-ending firehose of shiny new information competing for our attention is actually changing not just the way our brains work, but the actual structure of our grey matter. Well, we can start with their brains and their ever dwindling ability to sustain attention to all things analog. That’s a term now. While doing research for this I found camps that offer “analog art”, I can only assume this means, um, art? 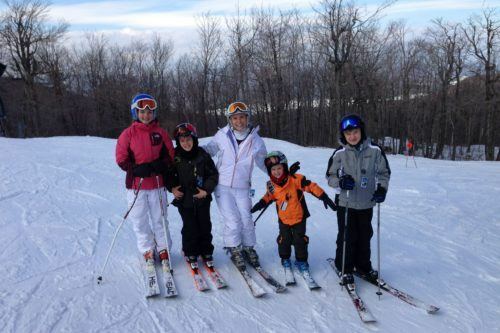 But in all seriousness, our kids need a break. They need to spend time talking, not with their thumbs. Research shows that kids admit to using their phones to avoid conversation. Therapists are seeing teens who aren’t comfortable initiating or sustaining conversations with adults. It’s going to be hard to interview for a job by text kids. Their brains need a rest from the constant stimulation. Video games, text alerts and all that beeping gives your brain a high that it then continues to crave. Double dog dare you to hear the sound of an incoming text and continue to focus on what you were doing. Your brain is jonesing to know, who’s it from? What’s it about? It wants a hit of new information. They need to read, for fun. The joy of getting lost in a good book, and accidentally building vocabulary, grammar and general knowledge is lost on many kids. Sure, they read the books they are assigned, highlighter in hand. But the pure joy of being swept away in a story and all that good stuff that comes with it? 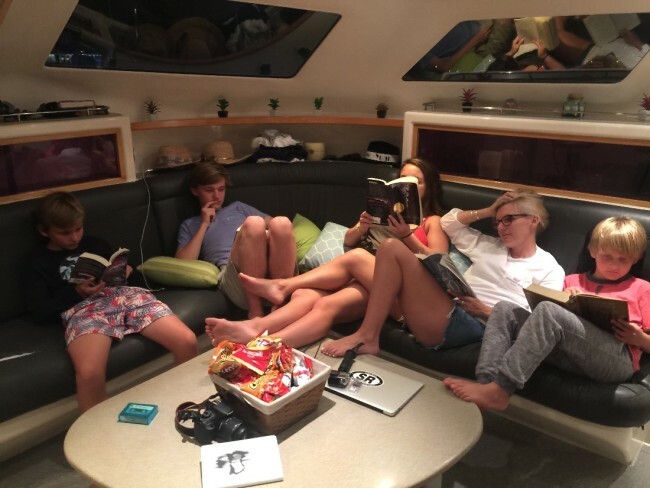 Between their over scheduled lives and their Snapchats, many kids never develop a real love for reading. And not on the cruise ship with the mad fast wi-fi. We recently took a family vacation and sailed the British Virgin Islands. The purpose wasn’t to go technology free, that turned out to be a side benefit. One day we were sailing, I was tired, and I took a nap. I know, right? When was the last time you just took a damn nap in the middle of the day? 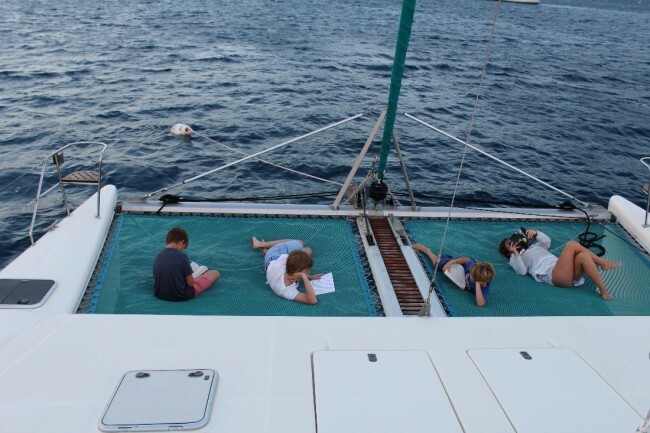 When I woke up I saw this glorious sight, all of my children READING. I didn’t ask them to. I didn’t force them to. It wasn’t for school, it was because there was NOTHING ELSE TO DO. This effect could also be achieved by locking them in an empty room I suppose, but I far prefer sailing. We did have wi-fi on occasion, but only when we were close to an island and the captain turned it on. It was interesting, once the kids got away from their devices, they stopped caring. Instead of shooting photos on her phone, I gave Macie a Polaroid Camera that she used to take the most amazing photos, it’s funny how the thrill of a photo printing out in your hand (analog joy?) never goes away. She was able to post the Polaroids later on Instagram and I’m told she got “many likes”. 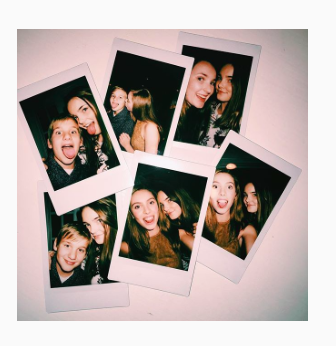 She loves her little Polaroid so much I’ve made it my go-to gift for teens, they’ve all been thrilled. You can buy the one I gave her HERE. Pro-tip, buy extra film, they are used to the world being digital and go through the paper quickly. We booked our sailing trip through iYachtClub.com. The owner is very hands on and helped with every detail, prices start at around $2,000 per night and that includes food and a chef. Yes, a chef. I know. Feel free to message me with any questions. Anyone who has surfed will tell you that it’s not just about the surfing. It’s the time spent in the water, sometimes it’s minutes between waves, sometimes it’s many, many minutes. I’ve never felt as peaceful and connected to the “real” world as I did just sitting on a board in the middle of the ocean chatting with the girls waiting for the next wave. Though it was frustrating at the time, we were on a press trip to promote the all women’s surf retreat, after a few futile attempts to get online I gave up, read a book and took a nap. Is there anything better than guilt free napping? You can read more about my stay at Chicabrava Surf Camp HERE. Camping is the obvious choice for a technology free vacation. You won’t be surprised to learn that we prefer glamping. I’m not the princess, my husband is. He once told me, “I just don’t like to eat my food so close to the ground.” We’ve been to Paws Up in Montana twice. Though they have wi-fi, it was spotty in the tents and the kids were so pre-occupied with the great outdoors, the phones stayed hidden in their backpacks. It was here that Keaton learned where hamburgers come from (the little cow he’s petting), Wilson learned that you don’t go fishing with bullets (I am not making that up) and we all learned why it’s called “The Last Best Place”. All the information on booking is in the link to my review on Paws Up. 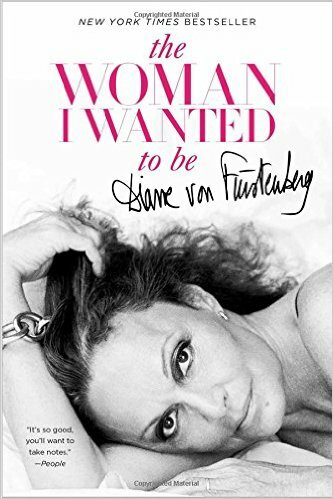 Macie: DVF “The Woman I Wanted to Be”. Click HERE to order. JJ: All things by John Greene. 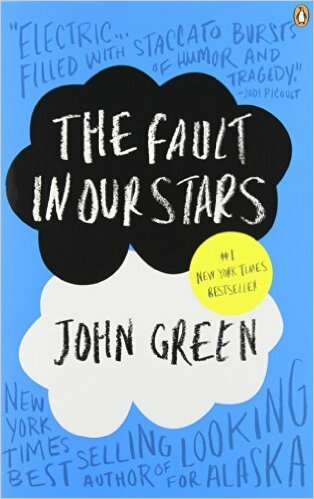 He not only wrote “The Fault in Our Stars” – there’s nothing he hasn’t written that the YA audience doesn’t love. Also, his YouTube. I know, he’s cooler than me. Order HERE. 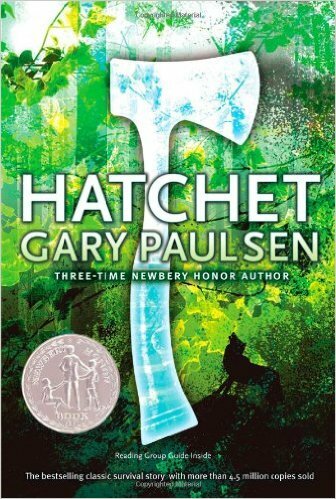 Wilson: He has read most everything by Gary Paulsen – he started with “Hatchet”. This kid is not a big reader, he loves the stories of survival, and there’s no “yucky kissing”. Order HERE. 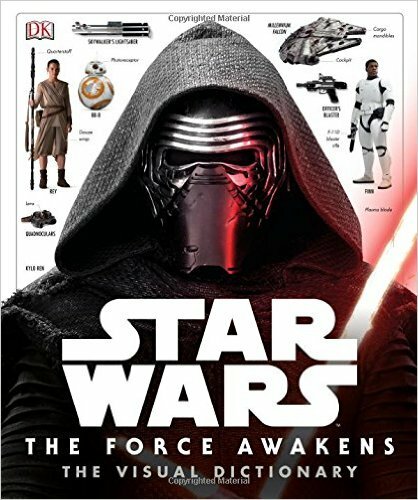 Keaton: I have a hard time getting him to read anything that isn’t for school, he loves Star Wars, this is good for any fan. Order HERE. 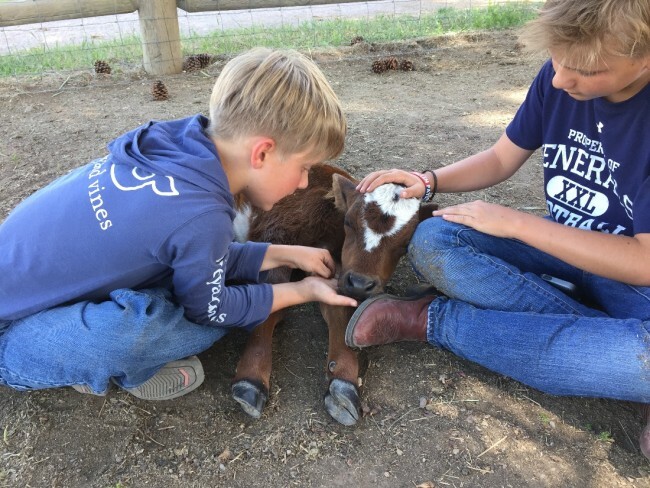 If you are looking for more inspiration on going technology free, you need to read my friend Gina’s blog Kids Unplugged. Her recent article in Westchester Family really made me think about how my children are using tech, they don’t know it yet, but I have devious plans for even more technology detox.